Atella blend synth-heavy disco, bubbling house and dreamy techno for an totally cosmic edition of our Fresh Kicks mix series. The Norwegian duo first caught DJ Mag's ear when they dropped a bouncy, fun-packed set for French party-starters Kitsuné at Bergen's Vil Vil Vest festival. A blend of massive synth-lines reminiscent of their countryman Todd Terje, interstellar atmospherics and punchy percussion, their sound nestles somewhere between slow-mo disco and pop, but never sits still for more than a moment — a perfect fit to their label home, Belgium powerhouse Eskimo. 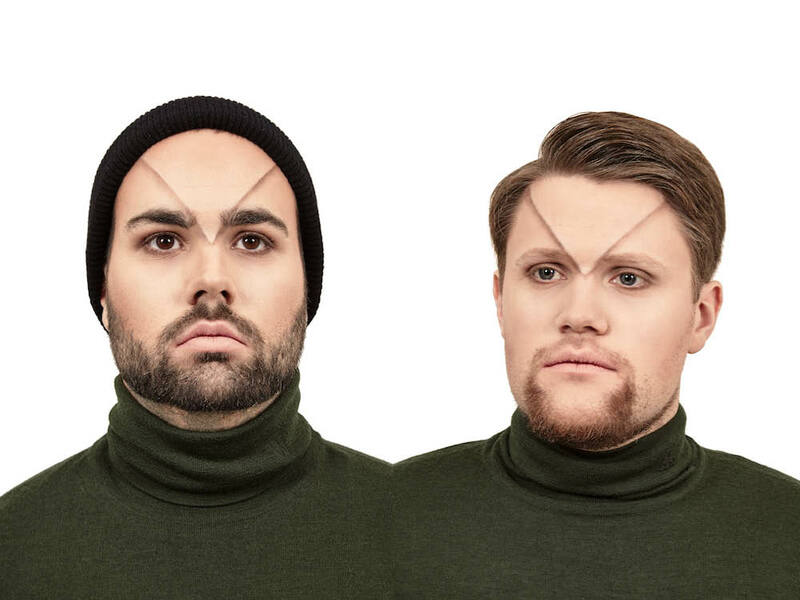 Atella's Fresh Kicks mix floats pumping beats over glittery soundscapes and remains irresistably danceable from start to finish via tracks from the likes of Brassica, Magnus International, Tensnake and Pearson Sound. Check it out in full at the bottom of the page for truly intergalatic trip. "That must have been the Blade Runner 2049 soundtrack. The original Vangelis soundtrack is a big favourite of ours, and a hard one to match. It is a good thing the new one is a bit different, as well as keeping some of the essence from the first Blade Runner movie. It is growing on us. We love it when the music and movie sound FX melts into one and the same (like the motor engine sound in ‘Flight to LAPD’)." "The last meal we made together was pizza. Magnus goes by the name ‘Magnus Mozzarella’ for a reason." "Jonathan Kaspar 'Toona', released on Objektivity." "When living in a somewhat remote country, when it comes to clubbing, it is a bit hard to answer this question. We had some great time in different clubs in Berlin and London (Corsica, Fabric, Tresor), but we've never visited any of them twice (so far). Locally, in Bergen, Østre has been an amazing small club for electronic music and art for years now." "There are lot of great DJs out there. Our local hero is Bjørn Torske — ‘The Codfather’. He still amazes and inspire us with his playful sets." Johannes: "That has to be the introduction melody of the Norwegian children’s programme, Jul I Skomakergata (translates to Christmas/Yule in Shoemaker Street). It always takes me back to the time we were dancing around the Christmas tree at my Aunt’s house." Magnus: "For me it is ‘Silent Night’ performed by Mahalia Jackson. Not just because of her out-of-this-world performance, but I’m also reliving my father’s attachment to this song. That’s some yule time magic." "Wouldn’t say no if Goldfrapp called us!" "The dream is having our own cartoon in the styles of Mézières and Mœbius, with stories of the two clumsy space cadets exploring the universe." "404 not found. Impossible question. Too many influences: great music, people, art, nature... the list goes on." Want more music from up-and-coming artists? Check out Fresh Kicks 53 by Desert Sound Colony.